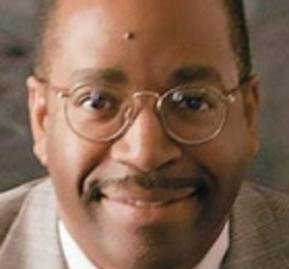 Labor Day weekend 2016 was just getting underway when the man seeking the presidency made a pledge to members of Detroit’s Great Faith Ministries International, the predominantly African-American church whose leader had extended the invitation to address its congregation. “As I prepare to campaign all across the nation, I will have the chance to lay out my economic plans which will be so good for Detroit," Donald Trump told the crowd. Later, he told the church’s leader, Bishop Wayne T. Jackson, he would be the city’s salvation. "I say it proudly, you have record-setting crime, poverty that is horrible, bad education in inner cities,” Trump said. “Everything is bad. What do you have to lose? I’ll fix it." The new president has been, and continues to be, criticized by African-American and urban leaders for his broad-stroke, apocalyptic view of inner-city neighborhoods. At the same time, there is no question that Detroit needs everything Trump talks about: better schools, safer streets and more jobs for ordinary residents. So we asked the city’s civic and religious leaders, few of them Trump fans, which goals might be achievable with the right funding and guidance from a Trump presidency. The Rev. Larry Simmons wears two hats in Detroit. He’s executive director of the Brightmoor Alliance, a community organization in one of the city’s poorest but scrappiest neighborhoods. He also leads Baber Memorial A.M.E., a church there. And Simmons pledges, sincerely, that President Trump is prayed for there every week. Simmons is particularly interested in Trump’s pledge to end “inner-city crime,” a thorny problem for any leader. He sees a solution, but not a cheap or easy one: Education and jobs. The key, he said, is to create opportunity for the would-be entrepreneurs to feel supported and thrive, to be encouraged to take the sorts of chances taken by Henry Ford and the Dodge brothers. But assuming he has a “Damascus Road moment” and sees the light, he said – then the answer is both fairly simple and, again, probably expensive. Rev. 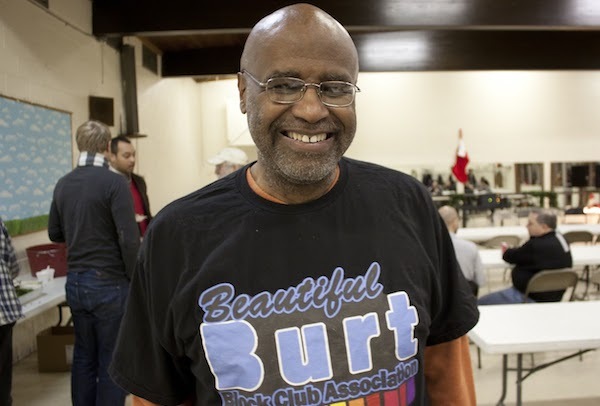 Kevin Turman, a community organizer and pastor of Second Baptist Church in Detroit, would like the president to listen more to city voices. When Trump spoke to the Detroit Economic Club in August, he rolled out a specific plan to aid business, and in fact touted his business expertise as a major reason voters should choose him. He promised regulatory reform, and one of his early executive orders requires that for every new federal agency regulation put in place, two must be identified for repeal. He also pledged, a lower corporate tax rate, two planks that put the local business community “very much in alignment” with the president, said Sandy Baruah, president of the Detroit Regional Chamber. 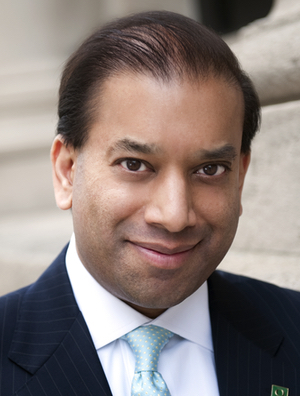 Sandy Baruah is president of the Detroit Regional Chamber. Baruah described the chamber’s business members as still in “waiting and watching” mode as the new presidency gets underway, due to executive actions on immigration and talk of new, higher tariffs on imported goods, particularly from Mexico, where many auto suppliers are located. Baruah is optimistic about the future of the long-planned Gordie Howe Bridge, but otherwise said it’s too early to place bets. Big infrastructure projects like a new bridge to Canada promise jobs, which pleases organized labor. Don O’Connell, retired executive director of Detroit’s Operating Engineers Local 324, said infrastructure investment is the city’s best chance for collecting on the president’s promises. “We’re encouraged that infrastructure and jobs are on the president’s radar,” O’Connell said. And while he was similarly heartened by the president taking an early, public meeting with labor leaders, he said he is discouraged by talk of repealing the Davis-Bacon Act, which guarantees the federal government will pay workers the prevailing wage as set by labor unions. Workforce development doesn’t just mean hiring people and handing out hardhats, O’Connell said, but also investing in job training and fair wages so that good jobs make meaningful changes in the lives of those who hold them. 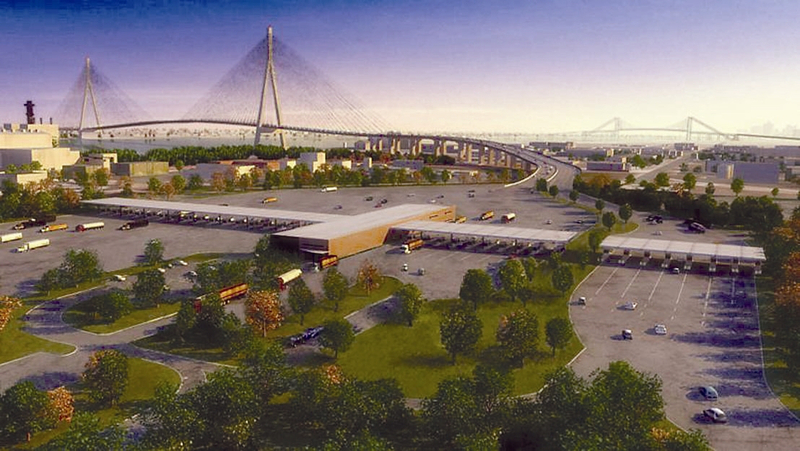 The bridge has been on the state’s drawing board for years, and the American-side customs plaza made it onto Gov. Rick Snyder’s wish list, part of the larger list compiled by the National Governors Association and presented to the White House as the administration goes forward. No concrete plan for spending has been reported, but with Canada picking up most of the cost of the span, and with Trump and Canadian Prime Minister Justin Trudeau recently reaffirming their support for the project, it seems a bright spot in what’s still a murky future for the president’s infrastructure spending goals. Simmons, the minister and activist whose church hosted Trump in September, doesn’t know what, if anything, the president’s administration has planned for the city. The dust has hardly settled in its first month, and what he’s seen so far is a little baffling, he said. Rev. Larry Simmons said his congregation prays for the president every week, but he’s not optimistic about Detroit’s prospects under the new administration. Health-care reform, particularly the repeal of the Affordable Care Act, was another cornerstone of Trump’s campaign, and his earliest executive orders paved the way for the piece-by-piece repeal of the law. 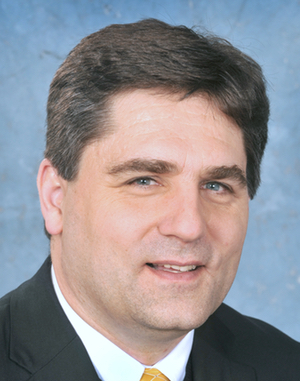 Sen. Patrick Colbeck, R-Canton, said he believed repeal is inevitable and that the state could be better served by administering its own Medicaid spending via block grant. Colbeck is a proponent of reforming primary-care payment systems, a variety of proposals whereby most individuals would pay their primary-care doctors on a monthly retainer, get most of their care there, then keep insurance only for catastrophic coverage. Colbeck has sponsored legislation to exempt so-called medical retainer agreements from insurance regulations in the past, and said they bring transparency and competition to the healthcare marketplace. Under a block-grant system for Medicaid, which Congress is said to be considering, the state could recognize significant cost savings, Colbeck said. Colbeck said he’s hoping to push legislation to enact a pilot program of 2,400 Medicaid recipients, to test such retainer agreements ahead of significant repeal measures coming from Washington. Sen. Patrick Colbeck, R-Canton, said he believes health-care reform may be Trump’s biggest Michigan legacy. Under a more conventional president, having a home state cabinet member confirmed might be seen as an advantage for that state – a powerful federal official with local knowledge and connections. At Excellent Schools Detroit, however, communications director Maria Montoya said she is not looking forward to the term of West Michigan’s Betsy DeVos, Trump’s newly minted secretary of education. “We’re expecting it’ll be vouchers, and then some,” said Montoya. Introducing even more school choice into an already glutted education market like Detroit’s is not likely to improve learning for local students, Montoya said. Students need good schools that are accountable to students and parents, a combination that has proved elusive in Detroit’s wide-open school-choice environment. DeVos family wealth and political clout have supported broad school choice initiatives for years and played a role in defeating a planned Detroit Education Commission, which its advocates hoped would calm the confusion in the city’s charter-school market by giving the commission authority over both traditional public and charter schools. Population loss has shadowed Detroit since the 1950s. 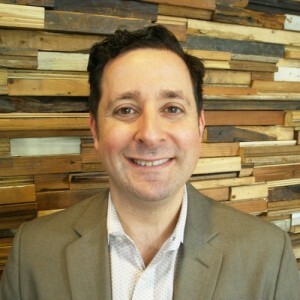 Steve Tobocman, director of Global Detroit, an economic-development nonprofit aimed at maximizing the potential of immigrants and the international community, said that enacting policies that welcome the foreign-born is one strategy to reverse it. But with the Trump team’s early moves toward curtailing immigration from Mexico and the Middle East, Tobocman said, as well as circulated copies of draft executive orders hinting at more restrictions ahead, there’s no reason he’s expecting any help from Washington in helping rebuild Detroit’s population, or energizing its economy, with immigrants. What’s more, he said he believes that other policy promises, particularly the border wall, actively threaten the state’s economy. “Mexico is our second-largest trading partner after Canada,” Tobocman said. “Metro Detroit is the largest metro area trading with Mexico. One hundred thousand jobs are supported by our trade with Mexico.” A border wall, he said, would alienate not only that nation but much of the rest of Latin America. "The key, he said, is to create opportunity for the would-be entrepreneurs to feel supported and thrive, to be encouraged to take the sorts of chances taken by Henry Ford and the Dodge brothers. " And if you're going to that route, which IMHO is THE way to go, then you'll need to drastically eliminate the regulatory structure that exists mainly to perpetuate itself far beyond what Pres. Trump is suggesting. Using the example above, I'm reminded of a conversation I had with someone from the T-Plex a few years ago about restarting producing of Model T's just for collectors. I was told that because of federal emisions and safety regulations, you can not do that today. These would've been the same vehicles your grandparents or great-grandparents may have driven around the area w/o any issues for years. Can you just imagine what Detroit would look like today if someone from Washington walked into that plant, or even Dodge Main, a century ago and told them that they'd have to cease and desist production until someone with no vested interest in what they were building was satisified? It'll drive the bureaucrats insane (because now they will need to find real, productive and meaningful jobs), but if you want to replicate what worked in Detroit, THAT should be your starting point. This condescending article insults the intelligence of the reader. Detroit's problem is a culmination of decades of liberal mayors plus the breakdown of the black family. Detroit's solutions must come from within the hearts and souls of its people. Your cultural bias is showing. Read "The Death and Life of great American Cities" before you start blaming people that look different than you for Detroit's solvable issues. It's good to hear many of the positive things happening in Detroit. But, you also have to admit that there are many problems that were ignored over the years that you can't simply gloss over. Trump may be able to help with some things, but you can't expect Washington or Lansing to keep pumping money into Detroit either. Detroit was once a great city and can be once again, but Detroit isn't entitled to anything and this entitlement mentality is part of what contributed to Detroit's downfall. Smart thinking that came from entrepreneurs like Henry Ford and Mike Ilyitch is what Detroit should follow rather than expectations that Trump or Washington in general will be there to keep bailing Detroit out of bad and corrupt business decisions. Well said Jay. Detroit kicked business and whites out of the city decades ago....how's that worked out for the city? The people in the city created most of the current mess themselves by continuing to support corrupt politicians and pursuit of an entitlement mentality. Detroit can not and will not prosper again by continuing to pursue a failed legacy. I do not support sending one more dollar to Detroit until Detroiter's start to help themselves. They can begin that process by stop telling me how much I owe them. Please identify those specific "Entitlements" you reference as the cause of Detroit's decline. Detroit looks at each and every dollar the Federal Gov't has as theirs. That mentality has spawned "the people mover", blight removal, school milk type programs that have supported the corruption of the entire city gov't. The city council has fostered politicians that have stolen as much as they could get their hands on. These same politicians then supported unions which demanded and received more than the city had to give. The political party in power then promised the city more than they had the money to pay for. The citizenry was then taxed more than they could pay. They felt they were entitled to everything they felt they had been promised. And petitioned the city, state and federal gov't for even more money to be frittered away by the same politicians that caused the mess in the beginning. So in the end, it's the entitlement mentality that's been engrained at all levels of gov't and politics that is still being touted as THE solution to all the city's problems. Didn't work the first few times around, so let's do again and again....because at some point it will have to work ....is the very definition of insanity. Get rid of that mentality is the first step that must be taken....Detroit must find out how to become relevant or it will slowly complete the death spiral regardless of how many sports stadiums they put in to plug the sink hole that Detroit has become. As a native Detroiter who no longer lives in the city (and, who at one time believed that Detroit could be "great again"), I now question whether Detroit was ever truly great --- as opposed to being just a decent place to live. If a person tours the neighborhoods that look like post-war Germany, revival seems a long way off. The problems leading up to Detroit's current state are many and varied. I don't see much improvement after eight years of a Democrat president. I believe that true revival requires difficult actions. The ministers quoted in the article are disappointing in that they don't seem to have any idea of what to do other than some kind of public works program for the unemployed. Maybe that is the only answer that people will accept. Maybe President Trump will be able to convince Congress to fund jobs for Detroit. If so, I'm almost positive that he will receive little or no credit from those in the city. Well stated. Let's get past the noise, and perhaps try to actually listen to people that may not share our point of view. Nancy has done a great job of moving us forward by gathering voices about what's needed next. Great to hear from so many faith-based community leaders-- they have kept our city together in the worst of times, and they are right: Trump is now our president, and we need to align with those initiatives that help us advance in Detroit. Safety in our neighborhood, inclusion as we rebuild city spaces, education and jobs. Trump can't be the solution alone. We have many voices that can mobilize this effort. Sandy is right-- the region has played a great role in aligning local businesses. Prayer won't hurt either! The title of this article says and explains it all! This thinking that Trump will do something that will "turn around" Detroit is a big part of the problem. He should have no more interest in helping Detroit than he would in helping Cleveland or Chicago, he's the president of the whole country not Michigan or Detroit. If Detroit wants to see a "turn around" they could start by getting the opinion of business people not a bunch of community organizers , pastors and NGOs who produce nothing and just want to spend tax payer dollars! And ask why you locate your business in the suburbs or outstate instead of Detroit? And go from there. Unfortunately they don't like the answers they get and do nothing but trot out the same failed or irrelevant solutions ... FREE CHILD CARE AND COLLEGE EDUCATION!! One huge barrier to Detroit's rise from the ashes is Matty Moroun's business empire whose goals are in complete opposition to public progress. Michigan must do what Windsor and the Canadian Federal government have done - stopped this company's destructive practices in their tracks. (Unfortunately not before a beautiful neighborhood was destroyed and sits abandoned and a local landmark, Abar's on the river, had to be torn down due to Moroun indifference). Faith based organizations can access for free the Michigan Talent Network's soft skills training and manage its delivery to the unemployed in their congregations with the necessary cultural refinements (its designed for a middle class suburban audience, not the people who have had to endure educational genocide at the hands of our "so called" (to borrow a phrase) educational experts who have had great practice at failing for the last fifty years in Detroit. By doing this over time Detroit's labor poor will be workplace ready and eligible for further training, IF; the supervisors of this training, Community Colleges, waive the Accuplacer, Compass and ACT college oriented screening tests for urban residents and screen instead for the cognitive attributes required for actually performing a skill within a trade. The academic requirements will be addressed by the trainee as required to do the actual work the skill requires (math & English). Local businesses' voice sshould play a greater role in the selection and assessment of candidates in this program.